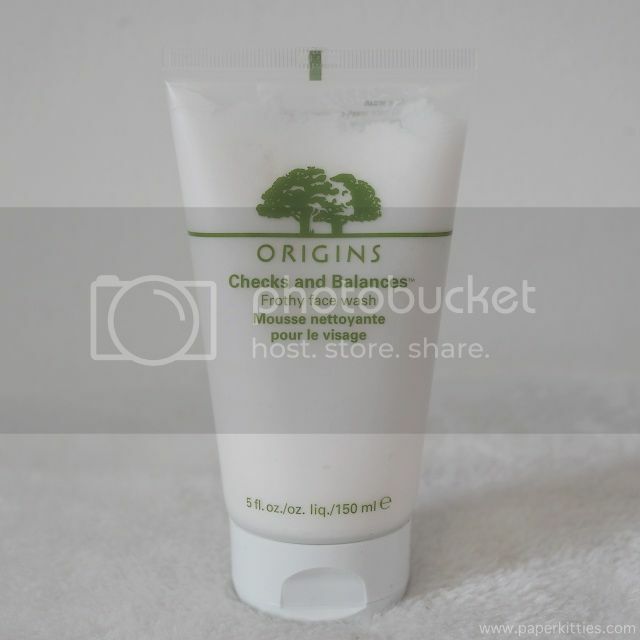 Breeze through #QuarterLifeCrisis with Origins Original Skin! Olla! 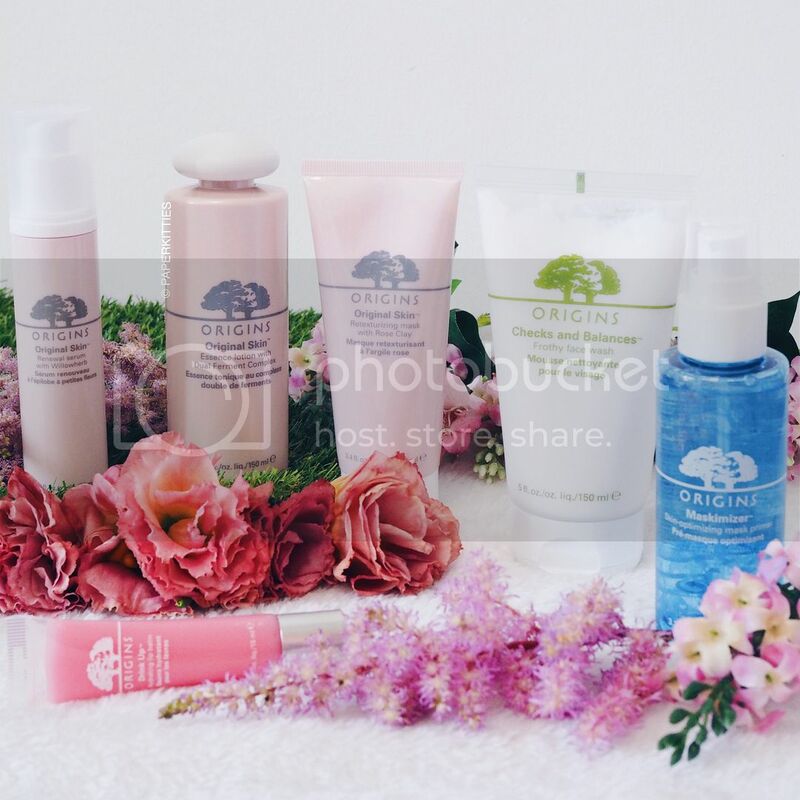 If you have been following me on my ig @paperkitties, you would have realized that I have recently been involved with Origins #QuarterLifeCrisis campaign and talked about their Origins Original Skin range! Reason I agreed to be involved with this was simply because I could totally relate it to what’s happening in my life this year.. when you’re between your 20s to 30s, it’s an unspoken transition period where you are leaving your reckless days behind, trying to understand the responsibilities that comes with adulthood. I reckon it’s also about this period that I truly understand what Britney meant when she sang of not being a girl, but not yet a woman. I reckon that’s how it is for us? Similarly, my skin is also going through a transition period where it stops producing as much sebum but starts to turn dry instead. The cyclical changes to our skin that comes along during our monthly menstrual cycle is made even more obvious that our skin needs are different throughout the month. I consider this a dangerous period as my skin is now a little of everything, but I can no longer use too much of a certain skincare product that targets a particular skin type, it’s all about balancing and adjusting my skin routine accordingly. Wave goodbye to enlarged pores and start embracing hydrated skin, this range is ideal for ladies whose skin is facing a transition period and wanted something gentle and nourishing, or better still, a routine recommended for brides-to-be to include. Origins Original Skin range is all about boosting your glow from within whilst refining your skin texture. A gentle, frothy wash that thoroughly cleanses one’s skin whilst leaving it feeling comfortably clean, Origins Checks and Balances Frothy Face Wash aims to balances face with dry and oily places to balance your skin. Using this facial wash left my skin that gives a squeaky clean feeling, I would have very much love this a year ago when my skin is still horribly oily and need some help in getting rid of the excess oil. 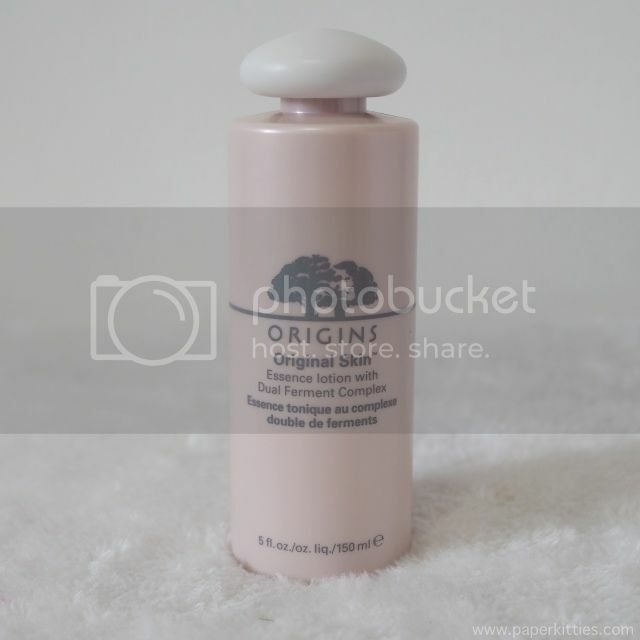 It’s amazing in doing so, which in turn help lessen breakouts and clogged pores from the high sebum production. If your skin is steering towards the dry side like mine is at the moment, it may take a little getting used to before being assured that it still doesn’t dry out your skin though! I’ve recently been pretty much intrigued by the beauty benefits of crystals so it was quite surprising for me to realize that Tourmaline crystals are used in Origins Checks and Balances Frothy Face Wash to detoxify and brighten skin while improving vitality. I won’t be going in depth on crystals and beauty yet as I am still trying to learn more about it, but I thought it will be a fun fact to note! 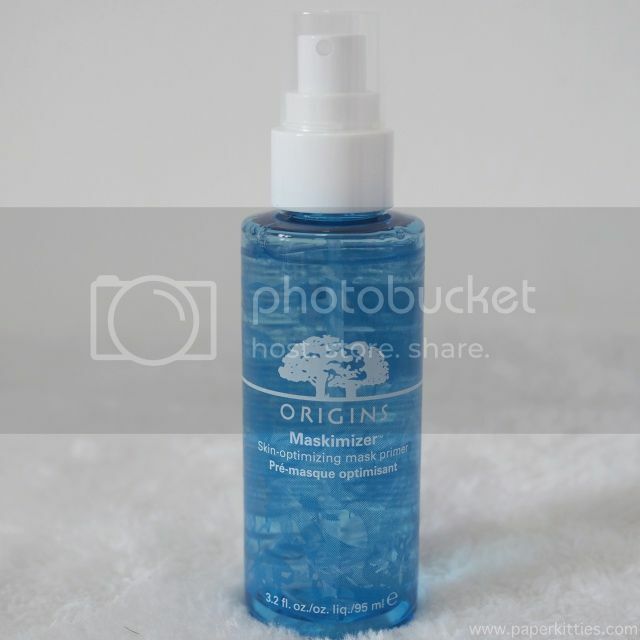 A skin-optimizing mask primer with Marine Algae Complex, Origins Maskimizer helps hydrate, soften and optimize skin’s condition to prep your skin for your masking experience! I would especially recommend this to fellow maskaholics who would like to get the maximum benefits out of their masks, please take note to not use them with your peeling masks though.. it won’t work! Origins Out Of Trouble use to be my holy grail mask to treating my acne; but when you’re getting older and your skin is transitioning towards the dry side.. would such a harsh mask still be ideal for your skin? Why not try something that’s much more gentle but still as effective? 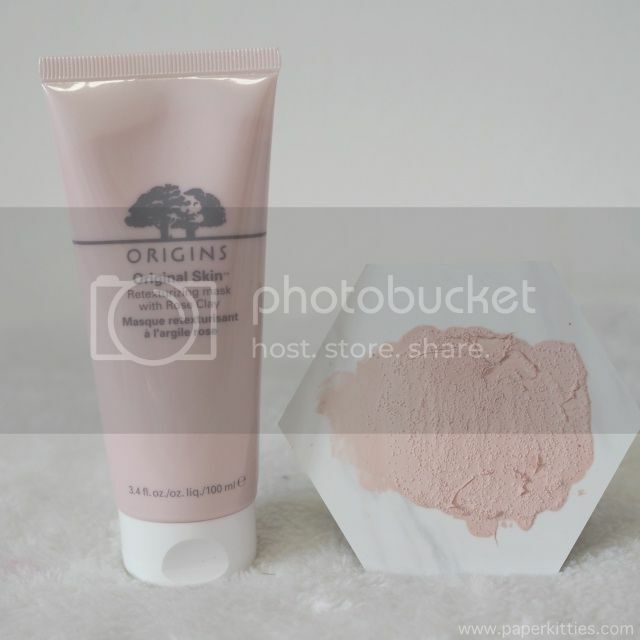 Origins Original Skin Retexturizing Mask with Rose Clay is a 2-in-1 masks that is made of Mediterranean Rose Clay, Canadian Willowherb and exfoliating Jojoba beads. It helps to deeply cleanse your skin, minimize pores while refining skin’s texture for a radiated glow. I find it great for absorbing the impurities in my skin that’s still oily but yet leaves my skin baby soft after washing off. Not to mention being able to massage and exfoliate my dead skin cells when washing off. It’s such a good change to steer towards without comprising on the efficacy! An upsized version of 50ml is launched alongside the former, Origins Original Skin Renewal Serum with Willowherb amplifies the essence lotion by helping skin to rebound and reduce oil production. My favorite function has got to be the ability to blur imperfections and enlarged pores, a good cheat for my day makeup without the need for pore minimizing primers! Am pleased that it helps my makeup stay better during the day too! Yes, I personally prefer using it during the day so that I can double it up as a primer whilst I stick to something richer at night to repair my skin. It keeps my face feeling balanced and more matte during the day. 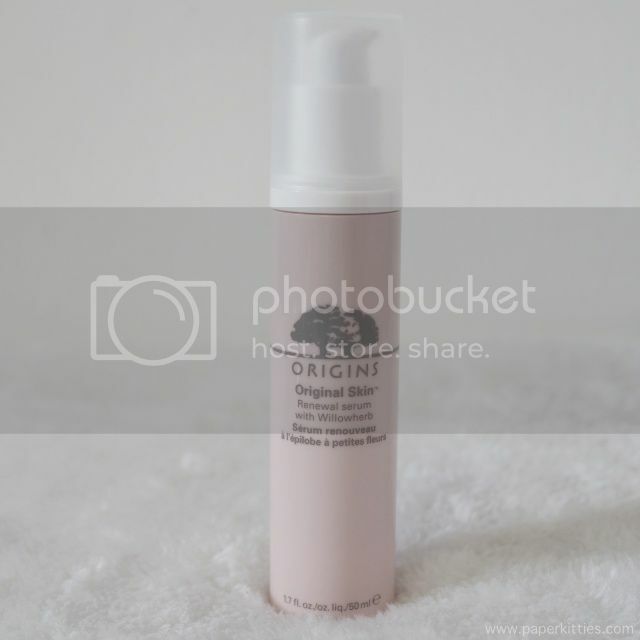 No point pampering your entire face if you have dry and chapped lips, so don’t forget to moisturize your puckers with Origins Drink Up Hydrating Lip Balm! A thick gloss that comes with a hint of tint, this gloss gives a protective shield against dryness.